The Ab Strength Guide program includes five info-rich video modules, each of which has me leading you through a 10-minute workout of 10 different exercises. These modules are designed to pop open a six pack (*Results may vary. Please read our full disclaimer here) of true, functional ab strength. 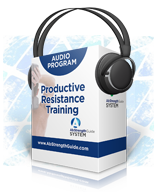 You can put the modules on your smartphone or tablet, so I'm right there with you like a virtual trainer. 35-minute presentation that covers everything you need to know about abs, and then some. 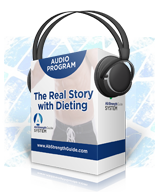 A special audio that gives you the inside line on why gimmicky diets just don't work and how they can actually leave you worse off. I share all of my best goal-achievement strategies to give you a real "head start" when it comes to the proper mindset. Five videos and 25-page manual that show how to use cardo the right way, and make it an effective fat-blasting tool. A 40-page guide of the How and Why balancing your body through strengthening your back is crucial in getting the best possible six pack. 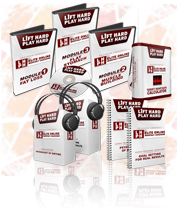 This is your chance to get a FREE month in my flagship Lift Hard Play Hard system. LHPH is my most tried and true program. It includes: over 100 workouts, over 600 exercise videos, 12 webinars like "Exercising Around An Injury, your new way to lose fat while injured". It's an incredibly comprehensive package and you get a whole month to check it out totally free (no future billing). How do I go about downloading the ASG videos? What is the schedule of the workout modules? How many times a week should I do them? Dr. K advises to take a day’s rest every other day, to give your muscles a chance to rest. I don't have dyna discs - what can I use ? What’s the difference between LHPH and ASG? ASG was put together for folks who don’t have more than 10 minutes a day to dedicate to fat-loss workouts. The lengthier LHPH workouts are more ‘gym-based’ (requiring more equipment) and an awesome complement to the core-based ASG modules. How do I combine ASG with LHPH? If you're looking to get better results, it's all about alternating intensity with rest. This is crucial in producing optimal results, so be sure not to cut any rest breaks too short. This will help you get the most out of your program. By placing ASG in front of LHPH, you're maximizing the effect of this 10 minute workout before you hit the workout that requires more aerobic capacity, LHPH. What do I do if I can’t perform some exercises? If some exercise are a bit difficult at first, simply modify them or lessen intensity, and just double up on those that you're comfortable with. The main thing is keeping your heart rate (and metabolism) high. Make it a point to push yourself a little more each workout and you'll get great results! I'm too old for these exercises - they're too difficult. OR How can I modify the exercises, if I'm a beginner? "I'm really glad you asked about the modifications. Start by going slowly through all the motions. If you find certain exercises are difficult to do, or painful positions, just back off and then we can talk about substitutes. We can always take it from there. - K"
I have a bad back - do you have any exercises for someone with my issues? How much muscle can I build around my belly/core? "That's very independent -- it really varies person to person. Many times, it depends upon your familiarity with an exercise or group of exercises, and how well you can do them. Then, it depends upon posture, and your body's ability to send a signal to your core muscles to maximize the effect of every rep of every exercise you do. Third, it depends upon your intensity while exercising, or your ability to get the 'last good rep.' These are a few examples of variables that will make results vary from one person to another. However, when you target your core as the 'anchor' for every exercise, you are certainly increasing your chance of building muscle in that region. The point of these exercises -- and the way they were designed -- is to build muscle in your core and help you develop strength where it counts the most." "I don't have access to equipment. How can I do these workouts?" "Just do the same exercises but without any weight. Sorry if this wasn't clear :-) The exercises work really well without having to use any weight whatsoever (body-weight only)." 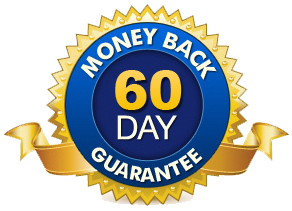 We’re so sure that you’ll love our Ab Strength Guide, we protect you with our Unconditional 60-day “You Must Be Thrilled!” Money-Back Guarantee. We want you to have plenty of time to experience and benefit from our products so you can discover for yourself how great they will make you feel. 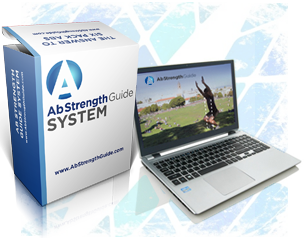 If you’re not happy with your results, simply notify us up to 60 days after purchase by calling (855) DRK-4-ASG or email us at support@absstrengthguide.com and we’ll make arrangements for you to receive a 100% refund. No questions asked. We understand many people are skeptical when they hear what a new product might do for them. Realizing this, we decided to offer our Ab Strength Guide Money-Back Guarantee program so that new customers would get the opportunity to experience the same health benefits our satisfied customers have already enjoyed, with no worries!